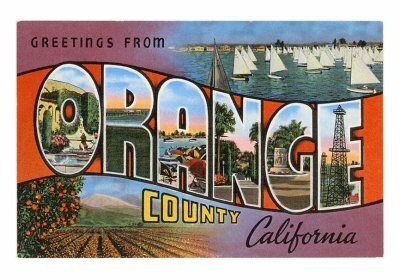 Once again the local daily newspaper, the Union-Tribune, has looked to Orange County for an infusion of new leadership. 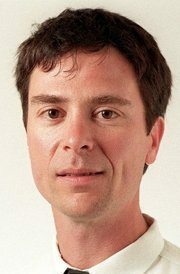 Jeff Light, vice president of the Orange County Register’s interactive division, will be taking over as editor of the Union-Tribune on March 8th. Our crack team of researchers (a.k.a. people who know how to Google) has looked into his tenure at the great White Daily to the North in an effort to ascertain just what impact his arrival at the daily fishwrap might bring. The bottom line: we will see few changes in the print edition, while the online version may be upgraded from its current frail status. Right wingers will be thrilled to hear that he gave them their own playground: FreedomPolitics.com. Launched last January, the site “promotes the two most important principles for a free country: individual liberty and the individual responsibility that entails”. With headlines like “Terrorists Use Crayons and Finger Paints for Rehab” and “Federal Aid to Haiti Illegal” its political persuasion is no mystery. Chronic trolls and flamers should be advised that Light was at the center of one of the more infamous examples of on-line abuse management back in 2007, when the Register reported on a 400 pound woman who gave birth two days after finding out she was pregnant. The newspaper’s on-line commenting and moderation policies were overhauled after abusive reader submissions (calling the woman a “pig” and worse) became a news story unto itself. It seems unlikely that any changes in the editorial policies in the paper will occur. In response to reader comments questioning his views at SignOnSanDiego, Light responded by saying that he characterized his views as being to the left of the typical Orange County voter and to the Right of the typical “liberal” journalist. The OC Register is unique among California daily papers for its history of libertarian stances. Among right wing publications it distinguished itself through its opposition to the US invasion of Iraq. The paper also opposed Proposition 8 and generally supports more lenient marijuana laws. On the other hand, they are also noted for a strong anti-trade union philosophy and support of ultra conservative candidates in elections. The Register is the cornerstone of the privately held Freedom Communications empire, which includes 90 daily and weekly publications, including approximately 30 daily newspapers, plus additional magazines and other specialty publications. The broadcast division includes five CBS stations, two ABC network affiliates and one CW affiliate. The company filed for Chapter 11 bankruptcy last September, listing $757 million in assets — now worth “substantially less than that amount” — and $1.077 billion in debts. The big losers in the filing were the newspapers’ five thousand or so carriers, who were due to receive $28.9 million settlement as the result of a class action lawsuit stemming from disputes over working conditions. Once the papers were filed for the Register, the monies due the carriers were distributed to other creditors, according to sworn deposition by Freedom’s CFO. The Register was also the training ground for none other than Chris Reed, the U-T’s self-described “conservative-libertarian” editorial writer and blogger. Reed’s never ending campaigns against trade unions and other vestiges of Democratic influence have taken center stage at the daily fishwrap. Of particular note have been Reed’s near-delusional rants about San Diego’s Unified School Board inspired by selectively leaked emails that are reportedly spoon-fed to him by Board member (and sometime loose cannon) John De Beck. Reed’s attempts at painting the board, currently grappling with yet another round of profound budget cuts and protracted negotiations with the teachers’ union, as a cabal of less-than-competent hacks has certainly served to undermine support for public education, which is, no doubt, exactly what he as in mind. Part of the “conservative-libertarian” agenda includes privatization of schools, parks, libraries and other programs that become financial burdens on government once progressive taxation is eliminated. As to what, if any, role the new U-T editor will play in any changes in the editorial policies at the paper, we suggest that those hoping for hopey changey kinda stuff look elsewhere. And we’re not real encouraged that the Register’s investigative unit, “The Watchdog” has been re-dubbed by local bloggers as “The Lapdog”. I just think it’s cool that David Byrne is the new editor. I love the Talking Heads! jon, David Byrne’s got to be older than this guy. Let’s do a comparison. Find a foto of Byrne. TH – one of all time faves! think he’s got one of those oversized white suits like byrne wears in the videos? LOL — my first thought, too, jon. he can tell us about the book he read, and not to worry about the government. maybe even about burnin’ down the house. we’ve seen how your social outreach works… namely that it doesn’t unless you’re of an approved political persuasion. that’s fine. it’s your paper/forum. but you shouldn’t try to fool people into thinking that you care what they think. Rob – The last time one of our bloggers wrote something critical of the U-T, someone from your organization came on and invited comments. Our blogger wrote you guys a nice letter – and guess what? It never got printed. Remember that old saying, the one George W Bush got so famously twisted around, – fool me once, shame on you; fool me twice, shame on me. I dunno. Think it applies here? Thank you for sending us that letter. I don’t know why your letter was not printed. To find out why, you’d have to ask the editors in our Editorial and Opinion department. If you’d like to know, I can inquire for you or direct you to our Readers Representative who can look into it. But you must understand that we get many letters and do not have the physical space to print them all in the newspaper. Also, our Editorial and Opinion department is separate from our newsroom. They are not involved with news reporting. I have written plenty of letters that do not get printed. Life goes on. Don’t take it personal. Bull! When someone from the U-T as it was said above comes on this blog and invites a blogger to write a letter and then doesn’t print it, that’s disingenuous on the U-T’s part. We all know (hopefully you too justmy2cents) that the hard-right extremist editorial policy at the U-T has guided what letters they post. That’s no surprise. Hopefully, with the new editor they will loosen up some. Of course, the U-T has to bend to changing demographics in this town, and as San Diego has changed to be more Democratic and independent of its Republican legacy, the daily fishwrap has been forced to print more liberal letters, just by sheer weight. But still, some of us were hoping that the new boss would bring in a new attitude now that Karen is gone. We don’t remove comments or ban people on either SignOnSanDiego.com or on any of our social media accounts because of a person’s political opinion. The link to our Facebook page is to a discussion forum open to anyone in the community to use. You don’t have to comment or participate if you don’t want to. But it is there for you and for your readers to use if any of you have feedback or suggestions for our new editor, Jeff Light. Oh boy, glibertarians and right wingers, woo hoo!!! Yup, same ol, same ol. Doug, don’t you know that making fun of someone’s name is the lowest form of humor? How come you feel it’s justified in this case, anticipating your response? there’s a difference between making fun and making a pun. i think. The Guy just can’t win. He spoke to the concern’s and he get’s blown off. It kind of shows the intent of the statements were just to incite. He did not bite. But answered in polite educated form. Kind of refreshing for a change. Sure, BS can be delivered politely. You’re a little too quick to start celebrating the “refreshing … change” at the U-T, my friend. I give people a chance and dont judge or put a spin on it until AFTER the fact…until then good for the UT seeing the need to at least take input. Kind of like the travlers right…lets not judge let actions speak louder than words right….thats what the whole preachy thing has been for 3 weeks….giving people a chance. Older Article: After the game that McCray won, his teammates went to a restaurant to celebrate but he didn’t join them – he knew he wouldn’t be served. Newer Article: The Richest 1% Have Captured America’s Wealth — What’s It Going to Take to Get It Back?